• First, under the new law, adults with pre-existing conditions that rendered them uninsurable for more than six months became eligible to join a temporary high-risk pool to be run by the states. • Second, effective September 23, 2010, insurers were prohibited from imposing lifetime dollar limits on essential benefits, such as hospital stays, in new policies. 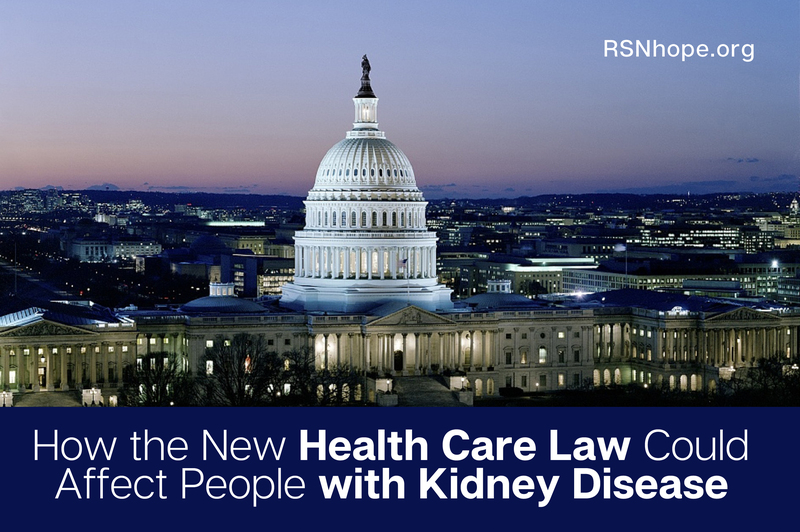 This is important in that the medical costs for those on dialysis or with a functioning graft are very costly. • Third, also effective as of that date, insurers were prohibited from excluding pre-existing medical conditions (except in grandfathered individual health insurance plans) for children under the age of 19 and also from dropping policyholders when they become sick. • Fourth, effective January 1, 2014, insurers are prohibited from discriminating against anyone or charging higher rates for pre-existing conditions. The Act does not apply to policies in effect at the time of enactment. • The Act does not address or affect Medicare, Medicaid or supplemental policies, such as MediGap plans. It is important to read and understand your policy, whether individual or group, and to know what is covered. David Ackerman is an attorney in Long Beach, CA, having spent the majority of his legal career in business and civil litigation. Following his receipt of a kidney transplant in 2007 from a friend of many years, he is now semi-retired and has volunteered with RSN for the last three years.